Join a Senior Committee to get involved and create your legacy! Friday, August 31st from 8:00am-4:30pm during your appointment time Building 103, Room 118/119 (attire provided). The proofs will be sent via email and mailed to the student’s address. Senior Formal Retakes are scheduled for Monday, September 24th from 8-4:30. Building 103, Room 118/119. If you would like to provide input on Senior Happenings this year, please attend this meeting during your tutorial period. We will be discussing items like cap/gown, traditions, senior shirts, and more. November 2nd 12pm, CTC, Meet at Building 103 by sign-in sheet. You must have a Valid ECHS ID Card and a 12 printed it on it to be included in the picture. Wednesday, December 5th at 7:00am, CTC Anderson Building. One guest per senior. This ceremony is symbolic of their senior year. The Class of 2019 will gather at 7:00am to drink hot chocolate and watch the sunrise together symbolizing the beginning of their senior year and journey as a class. We will have a similar banquet at the end of the year to celebrate and watch the sunset as the journey comes to end. Sunrise is at 7:15am this morning so be sure to arrive on time. After watching the sunrise, we will have breakfast in the Anderson Building and promptly begin the ceremony. Seniors will receive their class ring (if purchased and if paid in full) and all will be pinned by CTC. Your final senior rank grade snapshot will be taken in April. Your grades as of that Friday will be averaged with your third marking period grades and used to calculate your final ranking and GPA. Please make sure all of your work is caught up by that time so your final GPA will reflect your best effort. Your GPA and rank will NEVER be recalculated once they are finalized within the week or so after the 20th. No corrections to your grades can be made after that Friday for the ranking calculations. Please understand: The grades you will have earned at the end of the school year are what will be entered on your final transcript, but your rank and GPA will never change once the final calculation has been made after April 20th. The Seniors will have an assembly on Friday, January 25th to receive important information about Cap and Gown Orders, invitations, and all things graduation. If a student is absent, the information can be picked up in with Ms. McCarty. Make-up session following Tuesday in Ms. Frank's Classroom during senior tutorials. Herff Jones will be back on campus to take graduation orders Thursday, January 31st (11:50am-1:20pm) and Friday, February 1st (11:50am-1:20pm) to take cap and gown orders. Gowns are purchased by students and are not rented. Students received the packets with all the pricing information on January 25th during the Senior Assembly. Reminder: all students must purchase a cap and gown to participate in graduation ceremonies. You do not have to order in person and can order your cap and gown online. Please do so immediately to ensure timely delivery. This is an optional service provided. The cap and gown is provided for students to take their picture. Students have the choice to take cap and gown pictures at their choice of business, but we want to provide this opportunity to save students and parents some time and money. Students can sign up for a time slot beginning a week prior to pictures. Students will be mailed and emailed proofs where they can then place the order. Again, this is a one-day only appointment and no make-ups will be available. This is optional and will not be in the yearbook. This is for personal graduation photos. Orders placed in a timely manner will be delivered to the campus by Herff Jones on Friday, April 26th all-day in Building 103, Room 118/119. Friday, May 3rd 12:00pm Location: CTC. You must have your cap and gown with you in order to participate as this is Senior Photo. We do not have cap and gowns for students to take this picture. You will have received your cap and gown April 26th. Bring your cap and gown with you on this day. The photographer will be back the following day for cash purchases ($25-$30). After that, purchases can be made online. Seniors – scholarship awards letters are due May 7th by 4pm to Mr. Leitsch’s office. No extension will be given as we have a deadline for the program. Any questions contact Mr. Leitsch (Building 103). Seniors are in charge of planning and executing the Family Fun Festival. Family and friends welcome to attend! Optional event for seniors to participate in. Family and friends are invited to attend. Seniors participating simply show up to attend the ceremony. The attire for the event is school appropriate and your cap and gown. Report time is by 2:30 in the church hall to line up. The program begins promptly at 3pm. This event is free. Friday, May 24th at CTC. This will include important information about how to line up at graduation, how to enter, where to go, where you will be sitting, etc. Friday, May 31, 2019 at the Bell County Expo Center 1:00 p.m. Students must arrive between 11:30-12:00 in dress code. You must bring your cap and gown with you to the assembly hall. ONLY graduates are allowed in the assembly hall. No cell phones or electronics are allowed in the assembly hall. We do offer live streaming of the graduation ceremony from the KISD website. This allows for anyone, anywhere to watch the ceremony. The link is available that day. Go to KISD website, scroll down to Parent Links, Click Graduation Resources. The Early College High School 2019 Commencement Ceremony will take place on Friday, May 31st at 1:00 p.m., at the Bell County Expo Center. The venue is equipped with seating that provides a view of the ceremony from every seat, large projection screens to see your graduate walk across the stage, free parking, and live streaming of the ceremony for family and friends to view over the Internet. LIVE video stream of all area school graduation ceremonies will be available. 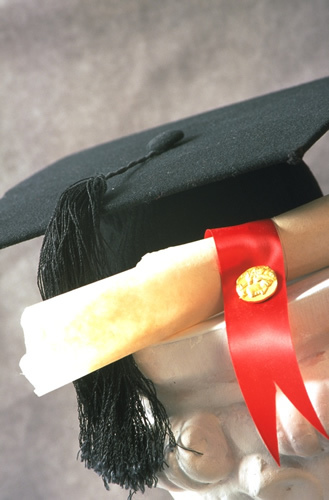 We offer a live online access of commencement ceremonies for Belton, Temple, Copperas Cove and all Killeen ISD high schools for family and friends who are unable to attend in person. Include the web address in your graduation invitations: www.gradcast.org. A graduation cap and gown can be ordered at www.texashj.com. Cap and gown orders will be taken in January after a presentation and packets distributed. Please be sure purchase your cap and gown after the presentation to ensure a timely delivery. Please contact Ms. McCarty by email kayren.mccarty@killeenisd.org if you have questions about graduation. *Parents and Students: Be sure your contact information on your school profile is up-to-date. I frequently send call outs or emails to seniors with valuable information. *Be sure to constantly check the website for current information and what is happening on campus. As always, if you have a question contact Ms. McCarty. We want to make your senior year memorable!